White Pouch Box W/Window 4Pk. 19.5 x 10 x 6.3cm. White. 300gsm Brown Kraft Paper. 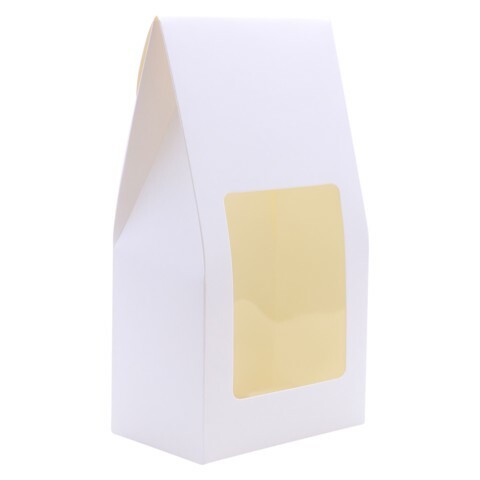 95g Packaging: Opp Bag with Header Card.